I havent spoken to PosterBoy in a little while but look forward to seeing him at this upcoming event. K.A.R.A.T.E. is a fantastic initiative I hope everyone who reads this site will rally behind. The underground ad altering artist known as Poster Boy is using his time out of jail for the greater good…of other vandals. He will kick off a legal defense fund for artists” at the launch party for his book: The War of Art. Kids Are Rallying Against The Empire (K.A.R.A.T.E.) 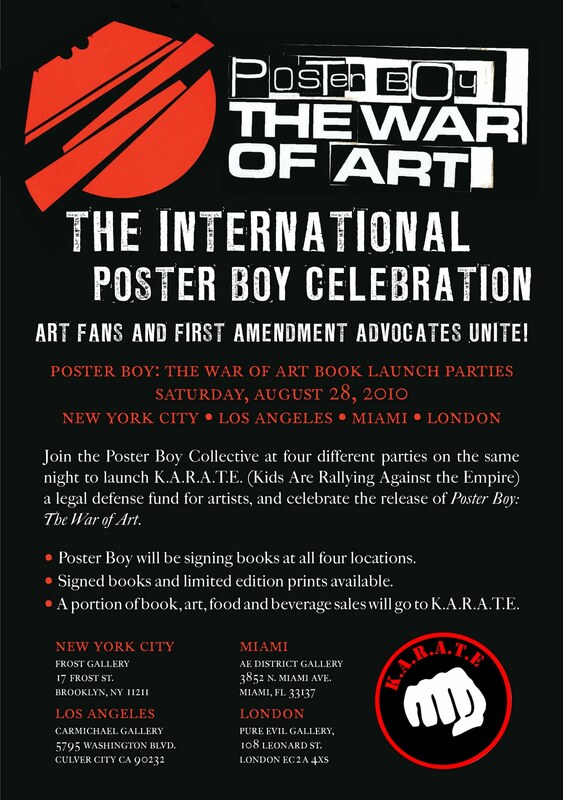 aims to assist those in fighting “art-related crimes conceived in public space.” Also, prosecutors beware, PB has a new lawyer: Ron Kuby!